As the world becomes more aware of the impact we are having on the planet, many of us are taking steps to live greener lives. One of the biggest ways that people are contributing to the eco-friendly effort is by transitioning to green cleaners. How Dangerous Are Non-Green Cleaners? Green cleaning is an eco-friendly movement that involves cleaning with the use of environmentally-friendly products instead of those that pollute our world. Ingredients within green cleaning products are healthier for those exposed to them as well as healthier for the environment. Why Are Green Cleaners Important? Of all the things the human race does on a daily basis, few expose us and our planet to more chemicals and toxins than cleaning with commercial cleaners. Taking a look at the back of any commercial cleaning product bottle will reveal warnings against inhalation and mixing one product with another. These warnings are in place because inhalation can cause significant health concerns from asthma to burning in the lungs and mixing chemical products can result in a serious, sometimes fatal, reaction. Environmentalists and the health conscious alike are pushing homeowners to turn to eco-friendly cleaning products in an attempt to reduce these harmful chemicals and hopefully one day completely eliminate them. Seventh Generation (View on Amazon ) is perhaps one of the biggest names when it comes to green cleaners. If there is a household cleaning product you are looking for, then Seventh Generation has it. They even have unexpected but welcomed green household items such as baby diapers and tampons. This is a company that not only focuses on creating healthy cleaning products but also places a lot of emphasis on their corporate impact on the environment. Biodegradable formulas ensure that non-toxic cleaners are not creating harsh fumes or adding to volatile organic compound production. Additionally, many of Seventh Generation’s products are certified Kosher and cruelty-free. Biokleen (View on Amazon ) is a company focused on producing non-toxic and environmentally safe cleaning products. 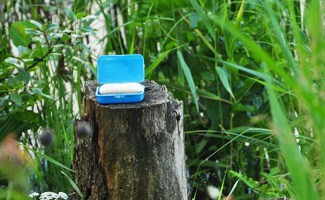 Biokleen products are concentrated, resulting in less waste products and are 100% biodegradable. These products include laundry detergent and chlorine-free bleach. Biokleen’s All-Purpose Cleaner cuts through the toughest grease and dirt without the use of toxic chemicals. The cleaner contains no phosphates, chlorine, ammonia, petroleum, solvents, alcohol or any EPA priority pollutants. Ecover (View on Amazon )is an international company focused on providing eco-friendly cleaners for every room of the house. Using plant-based and mineral ingredients, Ecover provides cleaning options for everything from toilets and laundry to hand soap and cars. Even the ECover factories are state of the art, clean running factories. Full Circle is focused on producing natural cleaning solutions by giving users the opportunity to make their own eco-friendly cleaners using the kits that they make and sell. Eco-cleaning kits from Full Circle contain recycled materials to help homeowners eliminate toxic chemicals while reducing waste by providing reusable bottles and microfiber cleaning cloths. Whether it is because they truly care about the environment and the health of their consumers or about the mighty dollar, many big name companies are releasing “green” products. Very often these big company’s “green” products differ from green brands in more ways than one. The first way is the ingredients list; many of these non-green green products still carry caution labels and contain a number of unpronounceable ingredients that have questionable health effects. Another difference between these two types of “green” products is that more often than not, true green brands make adjustments to their manufacturing process and their factories to sustain a green business. Most big name companies producing “green” products do not concentrate their efforts on green manufacturing. How Dangerous Are Non-Green Cleaners for Us and Our Planet? Petroleum-Based Products are found in many non-green cleaning products. The perfect example of one of these products is dish soap. A ludicrous example can be found when Dial dish soap (which contains Petroleum) was sent to the Gulf to help clean up the oil spill devastation in Louisiana and Mississippi a few years back. How ironic is that?!? In an effort to reduce our dependence upon imported oil, green products turn to plant-based detergents instead. Phosphates can be found in dishwasher and laundry detergents that are not certified as “green products.” Recent research has proven that phosphates can cause over-nitrification of rivers and other water sources, resulting in excessive amounts of algae. As algae grows out of control, fish are deprived of oxygen, killing off local fish populations. Formaldehyde can, unfortunately, be found in any number of home cleaning products including air fresheners as well as mold and mildew cleaners. Formaldehyde is a known carcinogen and can prove a severe health risk. Phenol is another substance commonly found in non-green air fresheners and furniture polishes. This substance is known to cause a number of health complications including: convulsions, hives, coma, circulatory collapse and death. Ammonia is one of the substances most commonly found in home cleaning products. Ammonia has been proven to cause damage to the skin, eyes and respiratory tract if put in direct contact with the skin or inhaled. Bleach is the “kill all” cleaner of choice that can be found in just about every household that hasn’t made the effort to “go green.” Bleach can cause significant damage to the eyes and skin if contacted and also causes damage to the respiratory tract. If bleach is mixed with ammonia, the fumes can quickly result in death. Perchlorethylene can be found in a number of carpet cleaners and upholstery shampoos. This toxic substance is a known carcinogen and has been shown to cause damage to the nervous system, liver and kidneys. Ammonium Hydroxide is another chemical that can commonly be found in carpet cleaners and upholstery shampoos. This corrosive substance is much like bleach in its irritation to the skin, eyes and respiratory passages. Chlorine can be found in dish washing detergents at fairly high concentrations. Chlorine is extremely toxic when ingested and can cause a number of skin, eye and airway irritations as well. Lye is a product that can eat through human flesh at an alarming rate and can be found in most common drain cleaners and oven cleaners. Lye has been known to burn eyes and skin and if ingested, it can quickly eat through the esophagus and stomach. Hydrochloric Acid is a corrosive substance that many will remember from chemistry class. Present in drain cleaners, this substance will damage the eyes, skin, liver, kidneys and digestive tract. Tricholoroethane can also be found in many household drain cleaners and is a known nervous system depressant and skin and eye irritant. Nitrobenzene can be found in furniture polishes. This chemical is known to be extremely toxic and can cause nausea, convulsions, muscle spasms, coma and headaches. This substance can be quickly absorbed through the skin. Sodium Hypochlorite can be found in a number of mold and mildew killing cleaners. This corrosive substance has been shown to lead to fluid in the lungs. Triclosan can be found in many antibacterial cleaners and hand soaps. This substance has been linked to liver damage and, when used in antibacterial soaps, the development of drug-resistant bacteria. Both Dimpylate and Diazinon can be found in a number of pesticides that can be found around the house. The substances are toxic and impair the central nervous system. Chlorinate Hydrocarbons can also be found in a number of pesticides and are believed to be carcinogens and mutagens. These substances build up in the body’s fatty tissue and begin to attack the nervous system. Lindane can be found in over-the-counter lice shampoo and has a number of very nasty effects. This chemical has been proven to cause vomiting, convulsions and collapse of the circulatory system. Lindane is also believed to cause damage to the liver and lead to birth defects, cancer and stillbirths. 2-butoxyethanol/ Ethylene glycol butyl ether is just one of the glycol ethers that are utilized in cleaning products – particularly in carpet cleaners and specialty cleaners. This substance is used as a solvent. 2-butoxyethanol/ Ethylene glycol butyl ether can be both absorbed through the skin and inhaled and have been linked to a number of health concerns including: blood disorders, kidney damage, liver damage, reduced pulmonary function and in the case of longer term exposure it has been linked to reproductive damage as well. This product is commonly found in toilet bowl fresheners, moth control insecticides, room fresheners, cleaning products and urinal cakes. Ethoxylated nonyl phenols (NPEs) have the unusual nickname of “gender benders.” The reason these substances have such a strange, almost offensive, name is because they have been known to induce female characteristics when male fish were exposed to them. This alteration of gender specific characteristics led to the European Union banning all nonyl phenols from cleaning products that are both used and manufactured in the area. Unfortunately, these substances are still being used in the United States in a number of various cleaning products. Methylene chloride is believed to be a human carcinogen by the International Agency for Research on Cancer. So strong is this belief that in 1987 United States product regulators mandated that all products containing Methylene chloride also feature a warning label. Methylene chloride is found in many paint stripping products. Naphthalene is another carcinogenic product. Naphthalene in addition to paradichlorobenzene is commonly utilized in moth balls. Unfortunately according to the California Office of Environmental Health Hazards Assessment Naphthalene is known to cause cancer. Paradichlorobenzene is also listed by the IARC to be a possible human carcinogen. There are a number of moth repellent products that do not utilize these chemicals and it is advisable to utilize these when possible. Silica is made from finely ground quartz and is utilized in a considerable number of home cleaners because of its abrasive property. While silica may make a good “scrubbing product” for home cleaning, it is also carcinogenic when inhaled as a fine dust. Toluene is used as a solvent in a number of home products, particularly paint. Toluene is also sold as a pure product. Unfortunately, this product has been found to be a powerful reproductive toxin. According to the California’s Office of Environmental Health Hazard Assessment, Toluene poses health risks both to pregnant women and the developing fetus. Trisodium nitrilotriacetate (NTA) is a product commonly found in laundry detergents as a builder. Unfortunately, this product has multiple negative properties. According to the Agency for Research on Cancer, Trisodium nitrilotriacetate (NTA) is known to be a possible human carcinogen. Additionally, this toxic substance is known to have a negative impact on the environment as it impedes the elimination of metals in wastewater treatment plants. Xylene is most commonly found in cleaning products used to remove scuffs, remove graffiti, adhesives and spray paints. Xylene is a particularly powerful toxin that has been shown not only to cause reproductive harm, but it has also been proven to be a neurotoxicant. As a neurotoxicant, Xylene has been seen to cause memory loss after repeated exposure. Diethanolamine (DEA) is used in a wide number of household cleaners. Diethanolamine has also been listed by the State of California as a suspected carcinogen. Exposure to this toxic product can result in skin irritation, respiratory distress and eye irritation. Hexane is a product that is frequently found in craft paints, stain removers and spray adhesives. Additionally Hexane has been found commonly in industrial settings. This product has been shown to cause a number of potential health effects as a result of being inhaled. Most commonly seen as a result of Hexane inhalation include long-lasting and sometimes permanent nerve damage. All household cleaning products must come with warning labels specific to the products ingredients. There are three different warnings: caution, warning and danger. Products that are marked with caution means that they are harmful if they are swallowed and anywhere from one ounce to one pint of the product can kill an adult. Products that have a warning label are products that are harmful if swallowed but tend to be less hazardous than those marked with Danger or Poison. Products that have a danger or poisonlabel are the most dangerous of household products. These chemicals are harmful or fatal if they are swallowed and as little as a taste to a teaspoon of these products can kill an adult. We recommend that these items are removed from your home immediately to protect your family from any potential harm. According to the American Association of Poison Control, 91% of human poison exposure happens in that person’s home. The Silent Spring Institute discovered that concentrations of toxic chemicals within homes can be a 200 to 500 times higher link to cancer cases than in homes with lower or no toxic chemicals in the home. The Silent Spring Institute’s study also found that women who work at home have a 55% higher risk of developing breast cancer than women who work outside their homes. Research has shown that 80% of chemicals found in everyday products do not have detailed toxin information. Less than 20% of these products have been tested for acute effects and less than 10% have been tested for chronic damage. Over the past 40 years, more than 70,000 new chemicals have been released into the environment as a result of new consumer and industrial products and food. According to the Toronto Indoor Air Conference, 1990, women who work in the home have a 54% higher death rate than women who work outside of the home. Infertility in both males and females is on the rise and new research indicates that pesticide exposure could be to blame. Statistics from the US Poison Control Center state that every 30 seconds a child is accidentally poisoned. More than 50% of these poisonings happen within the home and occur with children under the age of five. In the last twenty-five years there has been an increase of 25% of cancer in children under fifteen. Chickenpox, measles and mumps were the three most common childhood illnesses seen in children thirty years ago. Today, the three most commonly seen illnesses are ADD, asthma and cancer. Over the past twenty years the incidence of brain cancer in children has increased 40%. Asthma is currently the leading cause of absenteeism in school aged children. Every year over fifty million Americans suffer from allergies, the leading cause of chronic disease in the United States. This prevalence of allergies results in a cost of $18 billion each year for the healthcare system. According to the Environmental Protection Agency, a number of studies have proven that the levels of a number of volatile organic compounds are on average two to five times higher indoors than they are outdoors. This indicates that indoor air pollution is a very real concern. Who is Most at Risk When Using Non-Green Cleaners? While everyone and our planet are at risk from the use of non-green cleaners, those at the highest risk for poisoning from these cleaners are the elderly, children and pets due to the lack of education or memory of the potential harm associated with these products. How Do Non-Green Cleaners Affect the Planet? According to research, the average American uses approximately forty pounds of toxic cleaning products every year. These products are used to clean counter tops, spray the air for freshness, flush down the toilet and pour down the sink. As these chemicals exit our homes, they make their way into the air around us, our water supply and eventually the fragile soil surrounding rivers and lakes. As these chemicals build up, the ozone layer continues to be depleted, groundwater is polluted and plant and animal life are affected by the buildup of these toxins in soil. Research by a U.S geological survey organization has shown that around 66% of streams test positive for the presence of disinfectants. 70% of these streams test positive for substances that were once present in detergents. Many people rely upon commercially produced green cleaners to keep their homes clean due to convenience, but eco-friendly cleaners can also be created from everyday products. Baking soda has long been used as a solution for removing odors and as a mild abrasive. Whether used in toothpaste, as an air freshener or a surface cleaner, this is an affordable cleaning solution. Salt is another all-natural abrasive cleaner that is cheaper than all non-green cleaning options. Use caution when cleaning with salt as its abrasive nature can wear down surfaces over time. Olive oil is a completely safe tool for polishing wooden furniture. Vinegar is a great home solution for destroying mildew and for cutting grease on stovetops. While affordable, one of the biggest drawbacks people have with this solution is the smell of vinegar. Often the odor of vinegar can be resolved with a little more water dilution and even a few drops of essential oils like lavender or peppermint. Castile soap is a good solution for those looking for a green way to pick up dirt from carpets and clothing. The soap itself dissolves into oil and then latches on to dirt. Hydrogen peroxide is usually kept on-hand in first-aid kits, but it is also a great solution for killing odor-causing bacteria. Learn more about making your own homemade eco-friendly cleaners. Making the decision to become a clean, green household can be a daunting task particularly for those living on a shoestring budget. However, there are a number of ways that green cleaners can be introduced to a home. What many people choose to do is to use cleaning products that they have already and as products run out, they replace them one at a time with green products. Other families with limited finances choose to use natural cleaning solutions like baking soda and vinegar to maintain a safe but clean household. There is also the option to invest in a few commercially produced green cleaners and use vinegar or baking soda for some chores as well. Finally, many green cleaning companies offer coupons or “starter pack” discounts on their products to help new users make their transition! Making the choice to go green is a big step but in the long run it is one that will not only protect your family’s health, but it will also protect your family’s future and the state of our planet. With less chemical products being inhaled, our children will grow up healthier and will give birth to healthier children. With less waste being produced by non-recycled products, our children won’t grow up on a planet that resembles a giant landfill (remember WALL-E?!?). With fewer toxins being released into our ecosystem, our future generations have the opportunity to view how beautiful Mother Nature truly can be. What is your favorite green cleaner or green cleaning tip? Does anyone know of a green solution that effectively whitens as well as bleach & Comet, which never fails?! As soon as you mentioned the landfill…I also thought of “Wall-E.” But on a serious note, the way the world is running nowadays, I truly do not think that a “Wall-E” situation is far off. I consider myself a pretty environmentally friendly person, or at least I have good intentions. But sometimes it does strain my budget to go green and buy noncommercial products. This article was pretty nice, in the sense that it gave me a good amount of natural homemade alternatives to store bought products. I know that some of these other mainstream products are really harmful for us, but sometimes we all fool ourselves into thinking that if we follow all the instructions on the product container, then we will be alright. But I suppose the vapors are just as harmful as skin contact with the chemicals. In any case, I will make the switch to baking soda and vinegar in the kitchen. I sounds best. I really like the fact that green cleaners are getting so popular now. I just have to wonder what the heck took so long. We have only been destroying the environment for oh say, ever? When I was a kid, my grandmother made just about everything herself. I mean to say that she made our medicine, our tea, and we never even knew what a boxed meal was because she made everything from scratch for us. We lived with her until she died. We never even saw a purchased leaning chemical. It was a shock to our system after she died and we started buying all the things she made. Today, we don’t have time to do those things. Most families have all adults working if possible and some of them even work more than one job. I feel guilty every time I buy something I could have made myself. It just was not the way I was raised. So when I see green cleaning products, it takes some of that guilt away and I know I can teach my son the same values I grew up with, just using a different method. I think we could all benefit by looking at the way our great grandmothers used to clean. When she wanted whiter whites, she turned to vinegar. When she wanted to sanitize the counters, she used a mixture of vinegar and hot water. Vinegar has become my go-to cleaner. Not only is it good at removing stains from clothing, but vinegar is safe to use on counter tops. You don’t have to worry about cleaning the counters after you’ve cleaned them. I’m intrigued that there are more green cleaners coming onto the market, but I highly doubt any of them could be as green as vinegar. I have toyed with the idea of buying the newer cleaning wipes that are safe to use on eating surfaces, but you can’t really call them green when you consider that they create waste. When I use vinegar, I wipe everything down with a dishcloth and toss it in the washing machine. Of course, some companies are using deceptive wording to lure in eco-friendly customers. In other words, not all cleaners that claim to be green really are. You must look at the cleaner closely to make sure you’re not buying something that could be dangerous for your family. Looking at this list of commercial green cleaners makes me very hopeful for the future. These companies are building an entire business model based on doing well for the environment and making very little negative impact. Not only that, but the products are not shoddy, second-rate cleaners, either. Seventh Generation has been a staple brand name in my household for years now, and it has gotten the tough jobs done. The pleasant, non-chemical odors of these products are safe for plants, pets, and children to be around, which automatically makes them great in my book. They also used to be more expensive than traditional cleaners with harsher chemicals, but I think after their popularity and product range has increased, Seventh Generation and others are not actually that different in price than other types of cleaner. Considering the damage that some of those cleaning agents listed at the bottom can do to your health and to the environment, it is hardly worth any minor amount of savings, either. It is evident by how many green cleaning brands are on the market and how successful they have become that I am not the only one who thinks this way. There are so many wonderful green cleaners that you can make at home. As this article points out, baking soda, vinegar, and even salt, make wonderful cleaners. Not only are they safe for the environment, but they’re also much more affordable. Best of all, these are cleaners can be used for many different purposes. I actually think of vinegar as an all-purpose cleaner. It can be used to whiten laundry, clean counter tops, and can even be mixed with baking soda to clean stains from carpeting. When companies first started making a fuss about green cleaners, I did purchase a few products. However, I found that if you look at the fine print, they weren’t much greener than their counterparts. For example, a big brand name company would put out a green version of their products, but they would only be like 20% better than the non-green products. While that is better, it’s not great and, more than likely, not green. I say, if homemade cleaners work, why purchase something at the store? Vinegar, salt, baking soda, and olive oil are all things you can eat, which means they are definitely green. Chances are you won’t be going to the store any time soon and finding green cleaners that are that safe. People act like green cleaners are something new. The truth is there was a time when there weren’t commercials cleaners on the market. Instead, people used items in their pantry to get their clothes clean and sanitize an area. Some of the most common “cleaners” were vinegar, baking soda, peroxide, and even rubbing alcohol. Chances are it was a much safer time for families when you didn’t have to worry about the cleaner you used on your kitchen counter or whether or not the laundry detergent you used was safe for sensitive skin. Personally, I use vinegar for just about everything. Not only does it do a great job cleaning my kitchen counters and microwave, but it also does a wonderful job cleaning my hamster’s habitat. I don’t have to worry about any lingering odors once the vinegar has dried, which means my hamster is safer. Using vinegar and baking soda to clean your carpet can also keep your dogs and cats healthier. Another thing I love is that I don’t have to worry about washing the counters after I clean them. I do have to purchase some cleaners at the store, but I do try to make sure that they are safer for the environment than some of the other brands. You have given me some really great tips here, thank you. I have been wanting to go more green, but have not been able to afford it. They don’t recycle where I live, but I will be moving soon and I think they might have recycling set up there. Also, when I was cleaning around my child’s things, I started to feel uncomfortable using regular cleaner and decided to switch to vinegar. I have found that the smell goes away right after you use it. It doesn’t linger. But I really like the ideas you have about using some essential oil with it. I think orange or lemon essential oils will really add a fresh, clean, strong scent. Additionally, there are other oils that would work well for this like rose oil, jasmine and a few others. I love reading about your other ideas. I already use baking soda and dish detergent in the tub because I learned that when I was pregnant. I didn’t want to breathe the fumes in the bathroom while I cleaned up and found that recipe. It works really well all over the bathroom and it wipes clean. I prefer green cleaners not only because they are safer for the environment, but I also have many allergies that make it impossible to use many cleaners, such as chlorine. The smell of bleach, even a small amount, makes me incredibly sick. However, I don’t reach for green cleaners in the cleaning aisle. Most of my green cleaners come from the grocery store. Whether it’s vinegar, baking soda, or a combination of the two, I don’t have to worry about the safety of these cleaners. There are some cleaners I do have to purchase in the cleaning aisle, but I do try to seek out green cleaners. The only thing I have yet to replace with a green version is my laundry detergent. I have yet to find a brand that is affordable and does a good job at removing stains. I need to look into making my own detergent with green ingredients. I do wonder when people decided to start cleaning their homes with such dangerous chemicals and why they didn’t consider the dangers. Obviously, we’ve become more knowledgeable in the past 50 years, and our government requires stricter warnings, but why were these dangerous cleaners made in the first place? I don’t care how sparkly my dishes are if it could possibly kill me. Wake up and smell the ammonia, people! Green cleaners are gaining popularity because we all know that there is something inherently not right about the harsh chemicals used to clean homes. You probably knew something was amiss even as a young child, when your mom told you not to inhale fumes of ammonia or to be sure not to get bleach near your eyes. Those chemicals clean dirt, mold, mildew, bacteria, and everything else that comes in contact with it including your skin, your clothes, your lung tissues if you breathe it in, and your stomach lining if you swallow it- and that is putting it mildly. If you have to call poison control because you spilled some of your cleaning solution, or it eats holes in your carpet or ruins your clothes, chances are very good that this chemical is not safe. Switching to green cleaners not only is good for the environment, but you will be sparing yourself some potentially very serious health damage, too. As the article says, you do not even have to buy anything that is expensive and pretentious, you can make your own natural cleaners and enjoy a sparkling home just as easily. I have been getting into the ‘green’ trend on a personal level, and it is nice to see that more and more consumers want environmentally-friendly cleaning supplies. But I think the big issue is getting businesses on the green cleaners bandwagon. Yes, not using cheap industrial-sized bottles of bleach to sanitize everything was a difficult transition for me at first, because I started having to pay more for smaller bottles of cleaner. Yet the pleasant natural smells and the fact that I was doing less environmental damage while being super clean ultimately won out. Still, in business restrooms or kitchens, and even the janitorial closets where I work, I see those industrial-sized bleach, ammonia, and chlorine bottles, along with phenol air fresheners and ammonium hydroxide carpet cleaners. This has got to stop! I am just one person, and it is tough to try to make a difference when large businesses are still buying chemical cleaners en masse. I say, write a comment for them or talk to a manager to make your feelings known, because the more people say they want businesses to use green cleaners, the more businesses will do so. I am somewhat of a neat freak when it comes to my house and home. I maintain a pretty clean environment throughout the home, but when it comes to the bathroom, I really want to be sure that all the bacteria that could be growing in that often very moist and unventilated area are addressed early and often with cleaning products that address my primary issues with spreading disease to my friends and family. For that reason, I have been hesitant to make the switch to more environmentally friendly cleaning products because I fear they do not have the chemical punch to take out and destroy all the bacteria that I can imagine would be growing in my bathroom as well as my kitchen area. However, after reading this article, I have started to think differently. I know now that killing bacteria with chemicals can often just make them stronger and more difficult to take care of with typical cleaning products. So rather than contribute to that ongoing cycle and simultaneously damage the earth, I will take my cleaning objectives and methods in a more green direction. I think people make cleaning too complicated. You are not doing open heart surgery on your kitchen table, are you? I mean I know we need to keep our homes clean. I just think that there is a huge difference between clean and sterile. And when I think of sterile, I always think of chemicals that I do not want anywhere near my kitchen, much less throughout the rest of the house. Like one of the comments brought up, I would love to just make my own cleaners, but I do not have the time, proper knowledge, or the storage space. Besides, I do not mind helping a company make money if they have a quality product. In fact, those are the companies I may even buy more than I need to from just to show my support. You do not have to be Suzy homemaker to do what is right for your home, your environment, or your community. Going green does not mean that you will never shop again. It just means you are trying to be smarter about how and where you do your shopping. Almost everyone is interested in easy ways to help become more eco friendly and environmentally conscious. One of the best and easiest ways of doing so may be to consider using more of the so called green cleaning products. These are products which have been created in such a way as to not harm the environment. As I was reading this article, it occurred to me that many people may still have some resistance to the idea of using green cleaning products. After all, it was not really that long ago (especially when the first green products began to hit the shelves) that these items were not terribly effective. It took a lot of extra effort and a healthy dose of good old elbow grease to use a green product to remove a simple stain that would take a traditional cleaner almost no effort at all. Things have changed today for the better. Nowadays, the green cleaning products are much more advanced. Many of them have an incredible amount of cleaning power. You really should not be afraid to at try them and see for yourself. I love my green cleaners. And let me tell you, as the woman of the house, I found another good use for green cleaners; they help get the man of the house to go green! Yep. I started sneaking in green cleaners. I made sure to put some extra effort into the house cleaning too. I mean, I already keep the house clean, but I went the extra mile with these. It was kind of an accident the way it worked out. I was actually enjoying cleaning because I was always careful not to use too much of the other cleaners so I didn’t fill my house with toxins. When I got the green cleaners, I let it rip! I’ve been trying to get my husband to go green. He is a neat freak and never thought that green cleaners were going to be able to do the job right. Well, after my cleaning spree, he was so impressed that he is rethinking the green living choice in a whole new way. If this keeps up, I might even be able to stop sneaking organic food into the boxes where the non-organic food was. More and more people are waking up and realizing the damage that we may be unwittingly doing to the environment. The green cleaning movement has been one of the reactions to try and make people more aware of simple ways in which everyone can help to make things better for our environment. Of course, this begs the question about how to get started. After all, if we all just got rid of our old and unhealthy commercial cleaning products, what alternatives would we use? Fortunately, there are a number of ways to get started. This article actually points out several methods. For starters, we can start looking for products that are packaged in environmentally friendly containers or packaging. Admittedly, this is a small step, but it is a start nonetheless. The next step might be to start replacing our regular cleaning products with those that do not use any harsh chemicals. This will certainly cut down on the amount of poison and toxins that we are releasing into the air. The final step would be to replace everything with items made from naturally occurring components. These days there is much talk about ways for people to become more and more “green” or environmentally friendly. I am all for being a friend of the earth and finding new and useful ways to eliminate more and more of the waste that we each produce. As this article clearly points out, one of the easiest places to start may be with the introduction and use of more green cleaning products. 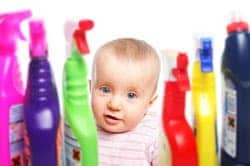 Actually, if you think about it, cleaning products is an area that uses a lot of different chemicals and these certainly end up as pollutants in the air, ground and even the water. If you have ever looked at the labels of some of the cleaning products around your house, I think you would be really shocked. Just consider the fact that most of them carry poison control labels on them. Read some of the warning labels and directions on what to do if the stuff is ever accidentally ingested. It is truly amazing at the types of poison we just throw around our homes without thinking about it. This is even worse if there are children, pets and elderly living within the home. As the article points out, one of the most basic ways to start making the switch is by looking for products that are at least packaged in recyclable or “green” material. At the very least this will be helping to reduce the amount of non biodegradable material that makes its way back into the landfill. Another step which can be taken is to make the switch, even gradually if need be, to using cleaning products which contain less or even no harsh chemicals. They are not really that hard to find. Many manufacturers have seen the trend and know that more and more consumers are demanding safer and more environmentally friendly cleaning alternatives. They work just about as well as the harsher products. The next step up the ladder of being a green cleaner involves using products with all natural ingredients and no harsh chemicals at all. This idea has been around for a long time, but it is only relatively recently that technology has allowed such products to be very effective. Several decades ago it might have been true that these types of all natural products were not as effective at cleaning. However, this is absolutely not true today. In fact, many times, these products work better than the old poisons we had been using. There are even a number of homemade cleaning products which can be used. This includes using olive oil as a furniture polisher. Of course, this step may not be for everyone. The main thing to remember here is that you can become more and more environmentally friendly in stages if you think that making a huge change all at once would be too dramatic. Really, anyone can start at exactly the place they are just by taking little steps and implementing a few changes. I love my green cleaners. I do not think I would ever go back to cleaners that had lots of chemicals in them. When I was younger and did not have any children, I did not really care what kind of a cleaner I used. I just wanted my house to be clean and to smell good. I bought whatever was on sale and often used more than I needed to just because I did not see any reason not to and the more I used, the better the house smelled. Then I had kids and I started wondering what the chemicals were going to do to my baby. I did some research and learned just how harmful some of these chemicals can be. I was especially concerned about the floors because the babies crawl on them and sometimes put things in their mouths that they find on the floor. As my kids got older and started getting chores to do, I got even more focused on green cleaners. I did not want them to be inhaling poisons just to make allowance. I am glad I made the change and I can’t ever imagine going back to the ones with chemicals in them. Not for my family! I have been wondering about cleaning products for quite some time. This article was really a big help in terms of giving me additional information that was needed in order to really provide the impetus to start using green cleaning products. I think that while many people may be aware to some degree that many typical store bought cleaners have harmful chemicals in them, most people just have no idea that there are alternatives. This article gives an excellent overview and treatment of the topic of using green cleaners. This could be something that was simply packaged in environmentally friendly material. Obviously, this would be the most basic level. The next step up would be a cleaning product that does not use any harsh or toxic chemicals. Finally, there are products which also are made entirely from naturally occurring materials. The main objection I think most people have always had to the use of green cleaning products, especially those which only use naturally occuring materials, is that they feel they are not as effective. Although the article does not really tackle this topic directly, there is mention of effective natural cleaners, such as olive oil, salt and even vinegar. The best section in this article was the list of some natural ingredients which have cleaning properties. I found this very helpful in terms of creating my own homemade products. In this way, I am now more sure about what chemicals (none) are actually being spread around my home. The first ingredient the author chose to share was baking soda. This item can be used for toothpaste, as an air freshener or even a surface cleaner. It is considered to be a mild abrasive, so it will be able to take off dirt. It also has the ability to actually capture and trap odors. The author also mentions salt. Of course, the caution is given to be careful here, since salt is fairly abrasive. It would be possible for a surface to wear down over time if salt was used repeatedly. As an Italian-American I always have olive oil around the house. I like the fact that this is also considered an all natural furniture polisher. I think most people also realize that vinegar is an effective natural cleaner as well. It destroys mildew and cuts through grease, especially on stove tops. People make such a big deal out of the green cleaners you can purchase on the market. They act like green cleaning is not going to get it as clean as it should. But then, some of those same people are all about the brand name and what is the hottest thing being marketed. I am far more concerned with the way the cleaner actually works and how it will have an impact on the health of me and my family members. I don’t care what the name on the bottle is, as long as it works! What I love most about green cleaners is not having to worry about whether or not my counters are safe to prepare food on. With other store-bought cleaners, you have to question if you need to wipe down the counters with water to remove the cleaner before rolling out cookie dough. Who wants to question the safety of a cleaner that you use on surfaces where food is prepared? Of course, you have to use them correctly in order for them to work, but they clean just as well, if not better than other store cleansers. I have a child at home and I made the decision to make the switch. I decided to ditch the traditional and extremely harsh chemical cleaners this year after I heard of a friend that got a pretty serious rash on his arm from coming in contact with what I thought was a pretty mild cleanser used in the shower. The commercial cleaner in question was actually a shower spray that is supposed to be used daily to mist throughout the shower and it is supposed to kill any of the mold spores or other bacteria that may grow in a moist, warm environment. Some of this spray had run down the shower curtain and got on the bath rug that lays outside of the shower. My friend was in the bathroom and knelt down on the affected rug and within about ten minutes he was complaining of a burning sensation in his knees and lower leg. The area looked like a burn and he got treatment immediately. Since then I will not have any harsh chemicals in my home. I started thinking about green cleaners when I had a daycare. We’ve all seen that little baby pick up a piece of dirt and shove it in his mouth. When you have a daycare, that could mean you have ten of those little guys running around shoving things in his mouth. And it isn’t jut worrying about what he is putting in his mouth. It’s also about worrying about what he is putting on objects. So you want to keep the daycare and all of the items in it as clean as possible. But, you have to be careful what you clean with because most cleaners leave some sort of residue on the item that was cleaned. You feel better because you just cleaned it, but can you say with complete confidence that the kids are safe? I would much rather use green cleaner that have natural elements in them than to take my chances with chemicals that I don’t know anything about. Just think about all the things that kids put in their mouths. It isn’t just toys, though you can bet those things get chewed on too. Almost anything they can grab will end up in the mouth sooner or later. Why take chances?